KPMG is a team of outstanding professionals with diverse backgrounds, varied experience and probing minds. We always strive to win. Not as individuals but by working as a team. Our winning culture is based on collaborative teamwork, and we create results by being open-minded, helping each other and showing trust in each other’s method and capabilities. 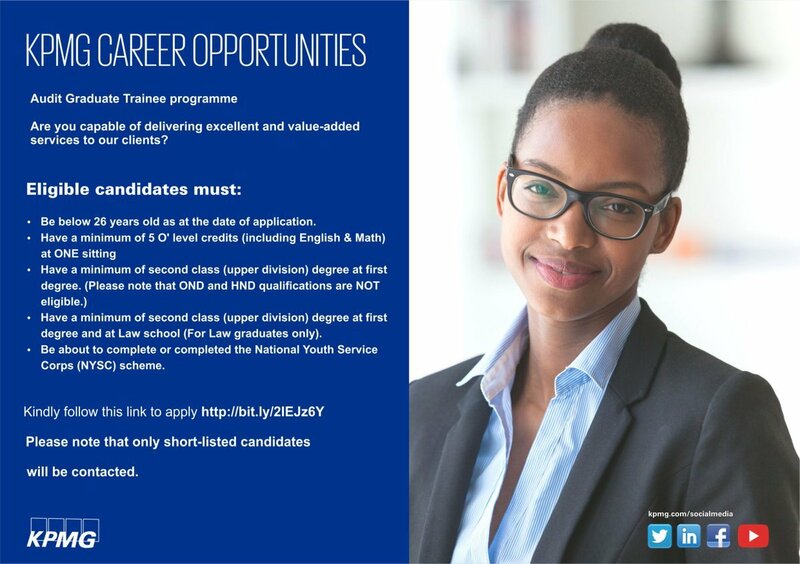 KPMG Audit Graduate Trainee Programme Eligibility. PLEASE DO NOT APPLY IF YOU HAVE TAKEN THE KPMG APTITUDE TEST/ KPMG BUSINESS AWARENESS TEST BEFORE. Please note that only shortlisted candidates will be contacted. How to Apply for KPMG Audit Graduate Trainee Programme.